Awesome read! One you can't put down, totally enjoyed from page one to the end. It was a bit different from Ms Steels usual stories,but maybe because as an old woman I can identify with the empty nest ,syndrome, snd the different stages of life,liked it very much. I loved the story line. What a great book this one is. I will recommend it to all my friends. 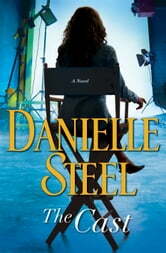 I love Danielle Steel's books. They keep you interested from the first page to the last page. Loved every minute of resding your book. Thsnks csn't wsit to stsrt resding my next one.